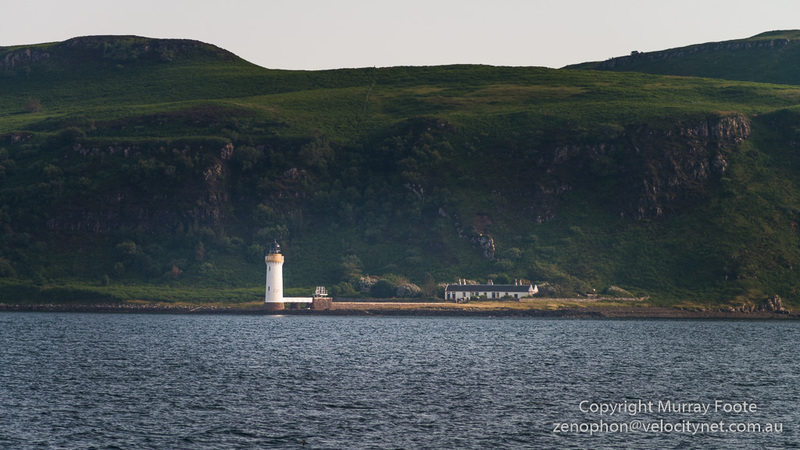 Ardnamurchan Peninsula, Scotland. Day 13, 11th July. 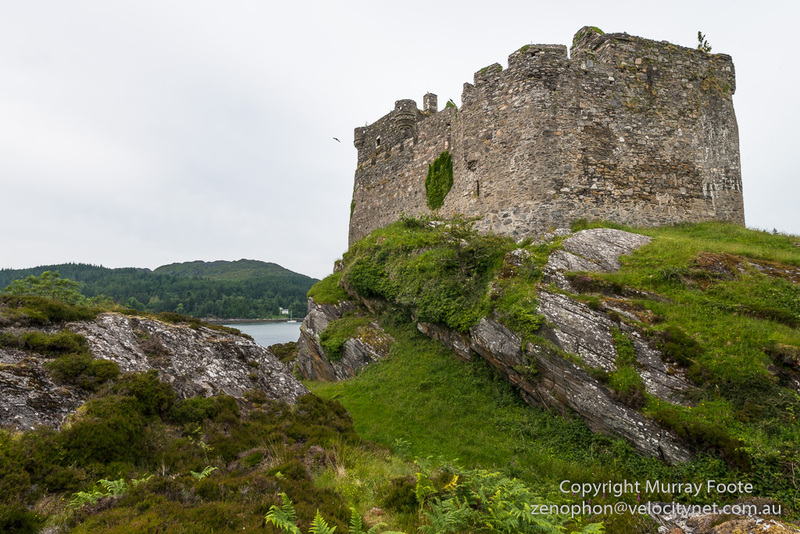 Castle Tiorem (pronounced “Cheerum”) is at the end of an obscure side road on the Ardnamurchan Peninsula, south of Skye. The last couple of kilometres are the sort of road you prefer not to encounter oncoming traffic on. 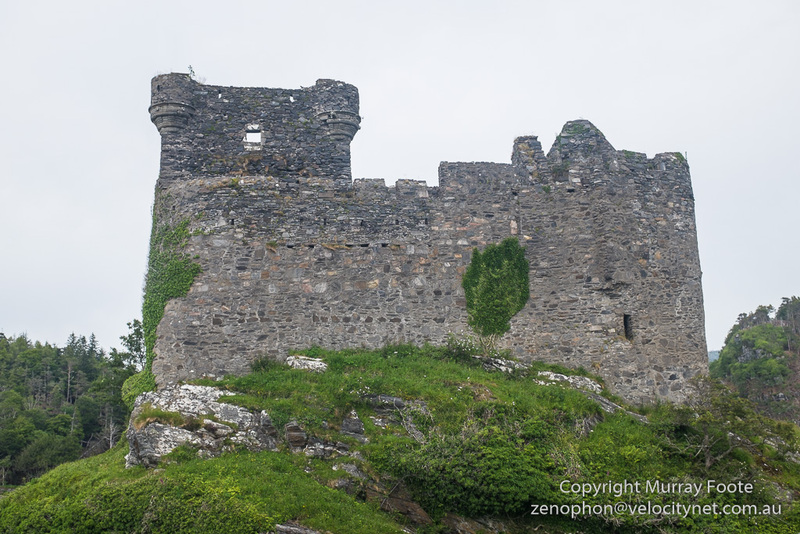 The castle dates back to the thirteenth century though it has been extensively modified over the years, including the raising of the walls. 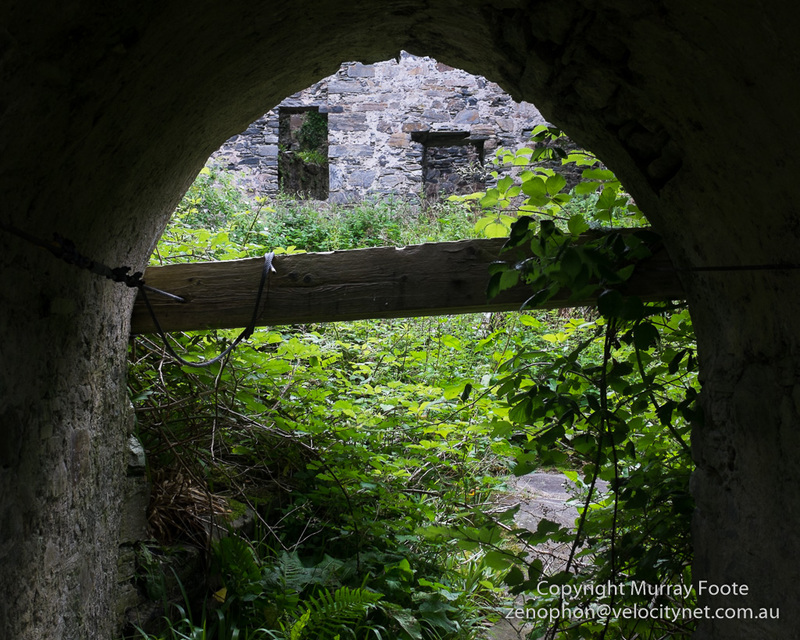 This is the interior of the castle through a wire grill, the closest I could get. 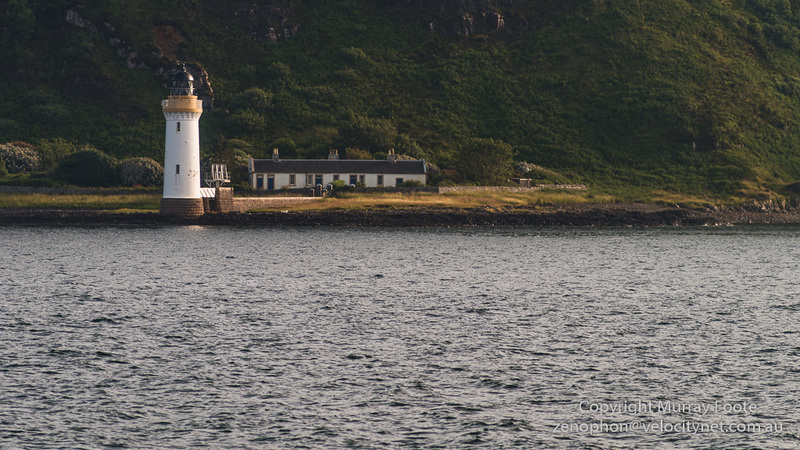 The castle was originally occupied by close relatives of the lord of the Isles. 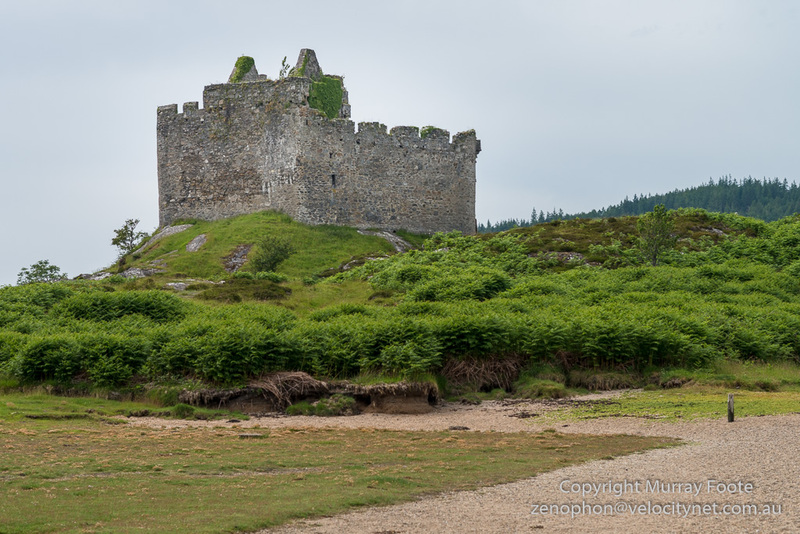 In 1373, ownership of the castle by John MacDonald of Clanranald was confirmed by Robert II (of Scotland). 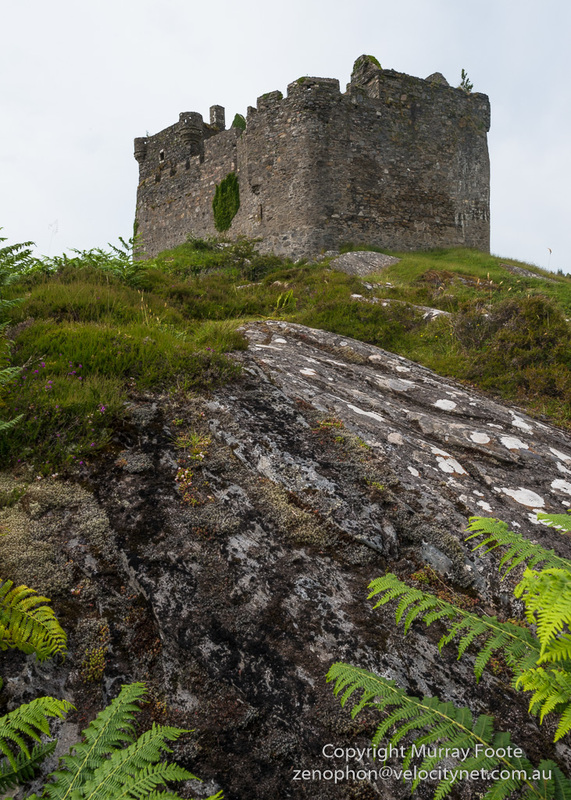 In 1554, the castle was attacked by the Crown (as ordered by the Regent, Mary of Guise) as part of a plan to bring the district of Lochaber under direct control. The attack was beaten off. The Macdonalds backed the Royalists during the Civil War and yet at the end of it still retained possession of the castle. 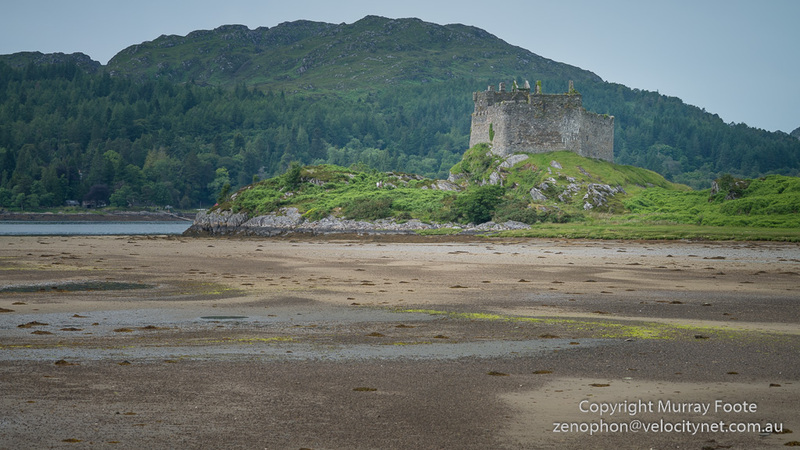 However, in 1685 Allan of Moidart, 14th Chief of Clanranald decided to move to a less remote location. After that the castle was little used. 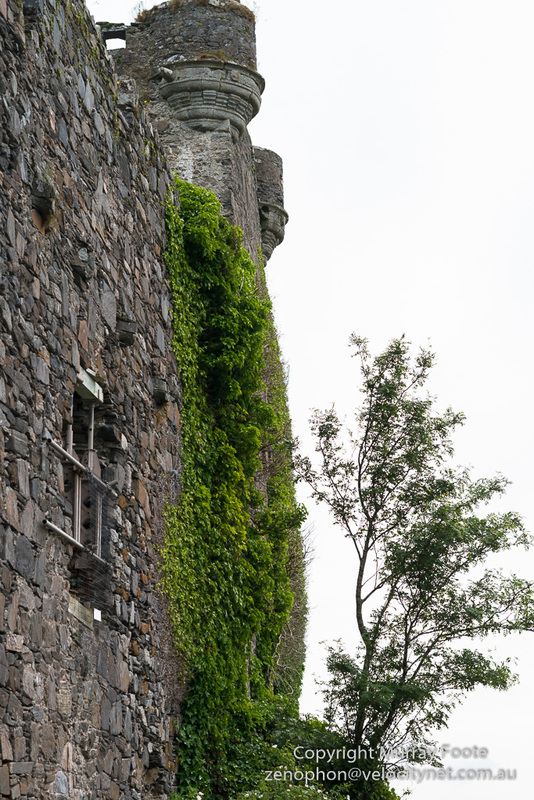 Fourteen English troops garrisoned the castle during the 1715 uprising. 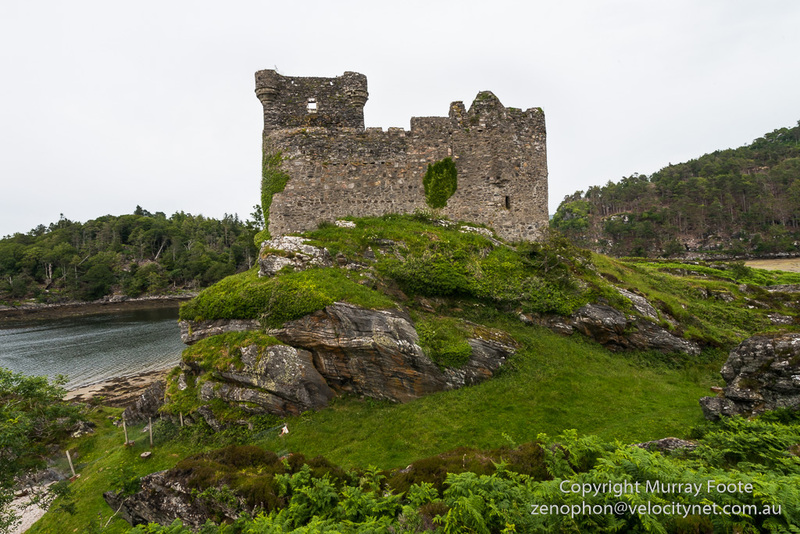 Allan of Moidart recaptured it and then set fire to the castle so the English could not use it. He then left for the Battle of Sheriffmuir, where he died. The castle at the moment is in something of a state of limbo. 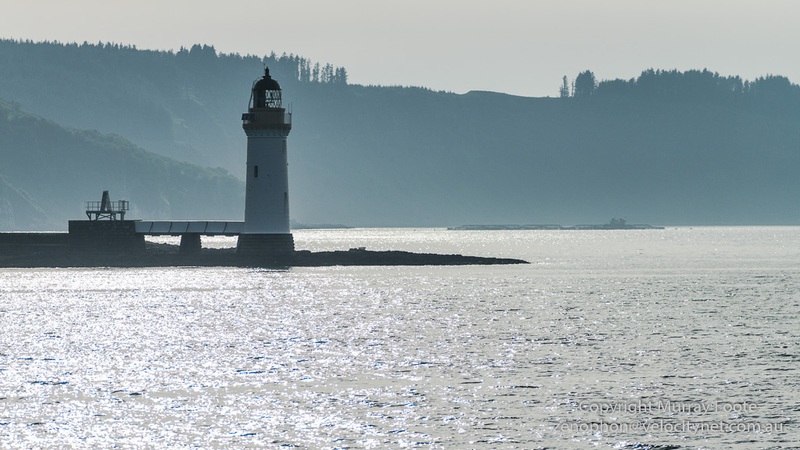 Historic Scotland want to restore the castle and have it open to the public. However it was purchased in 1998 with the intention of making it a private home. Planning permission for this has been denied so it remains to see what will eventuate. 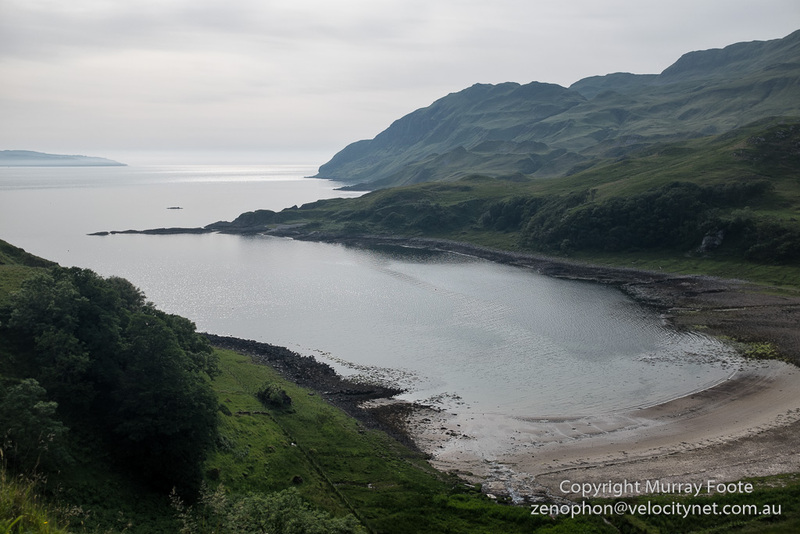 This is a stretch of coast on the southern side of the Ardnamurchan Peninsula, not far before the ferry to Mull at Kilochoan. 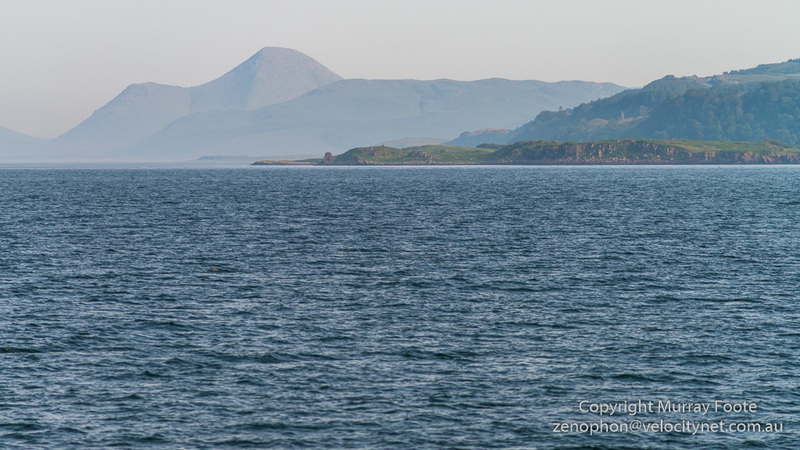 This and following images are on the coast of Mull, from the ferry. 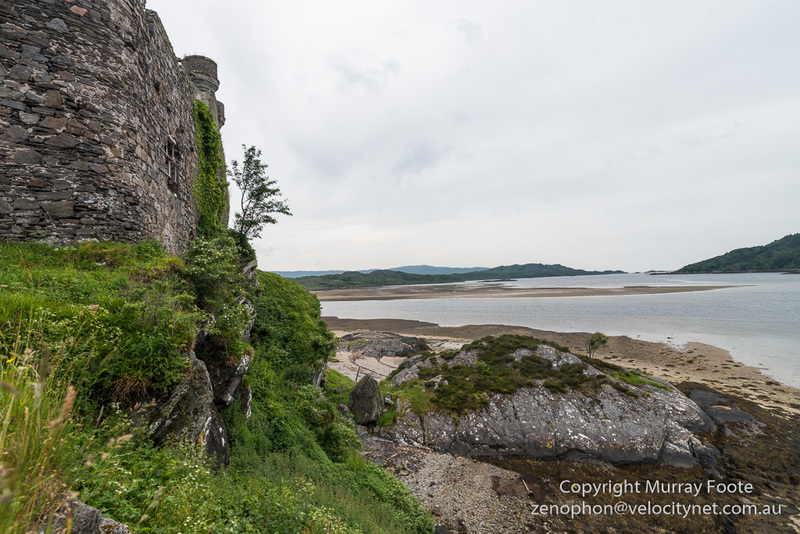 This entry was posted in Ardnamurchan Peninsula, Mull, Scotland and tagged Archaeology, Ardamurchan Peninsula, Castles, History, Landscape, Mull, Photography, Scotland, seascape, Tiorem Castle, Travel. I enjoyed your commentary Murray. And your images are, as usual, excellent.